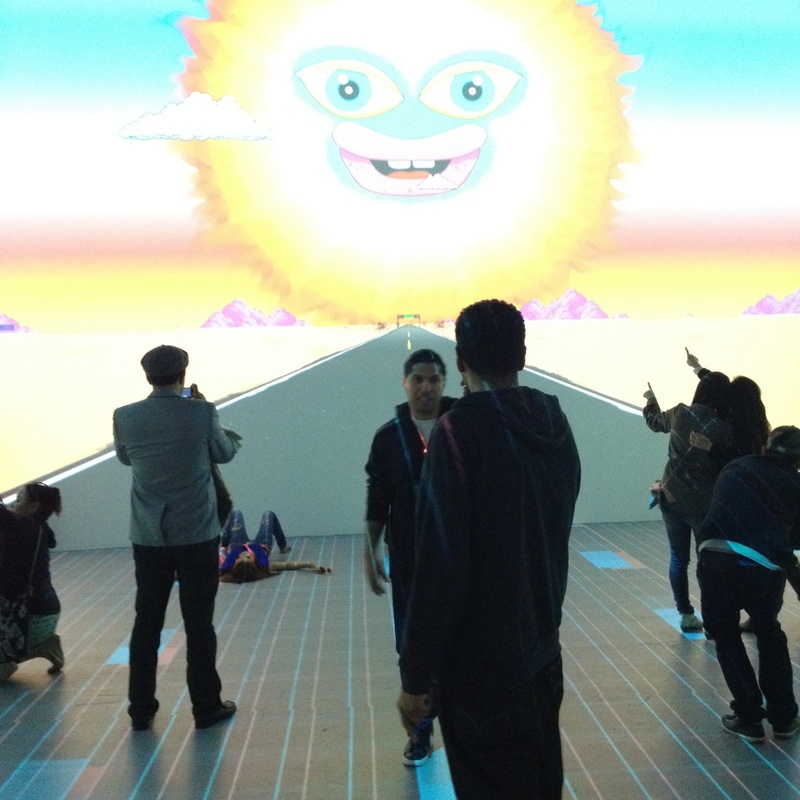 There’s a Mercedes in the middle of the “Transmission: L.A.” exhibition at Geffen Contemporary at MOCA. I didn’t take a photo, but it’s there, and if you have stopped by the event, then you likely saw it too. Consider the car product placement. “Transmission: L.A.” is part of Mercedes-Benz’s Avant/Garde Diaries project, essentially, a series of cool events and artist spotlights funded by a car company. In my younger days, I would have scoffed at this with typical indie snob superiority. It took a while for me to understand one of the greatest truths of the world. No good idea will get off the ground without money. If corporations want to put up the money for people doing awesome, creative things, then it’s good for artists and it’s good for us. I played an all-CD set last night, which I rarely do anymore. 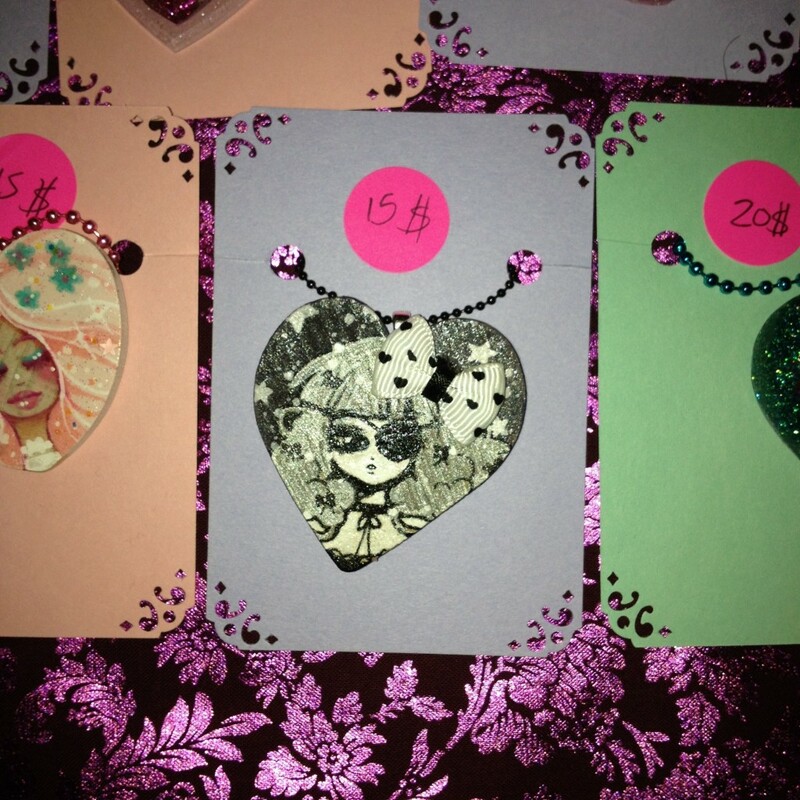 Many of the tracks were pulled from the super cute Little Twin Stars booklet in the above photo. 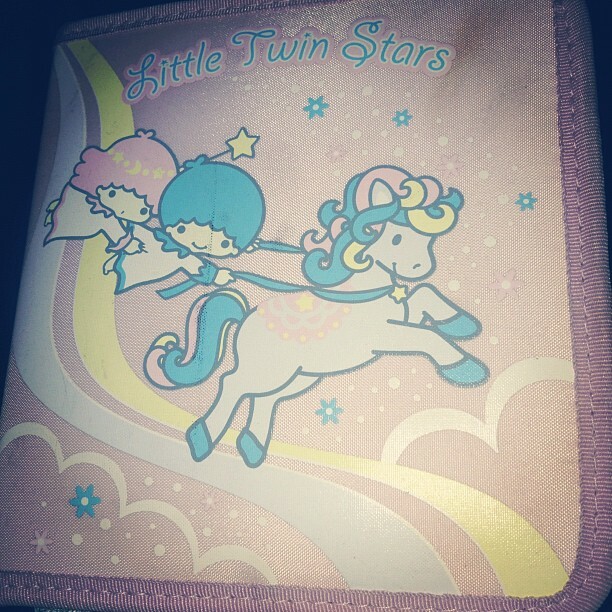 I’ve loved Little Twin Stars ever since I was a child, but it can be hard to come across LTS items. I stock up when I can. In between the typical day-to-day drudgery that comes with my attempts at being a functional, responsible adult, some pretty awesome things happened, all of which relate to a few some stories I wrote. Let’s recap. 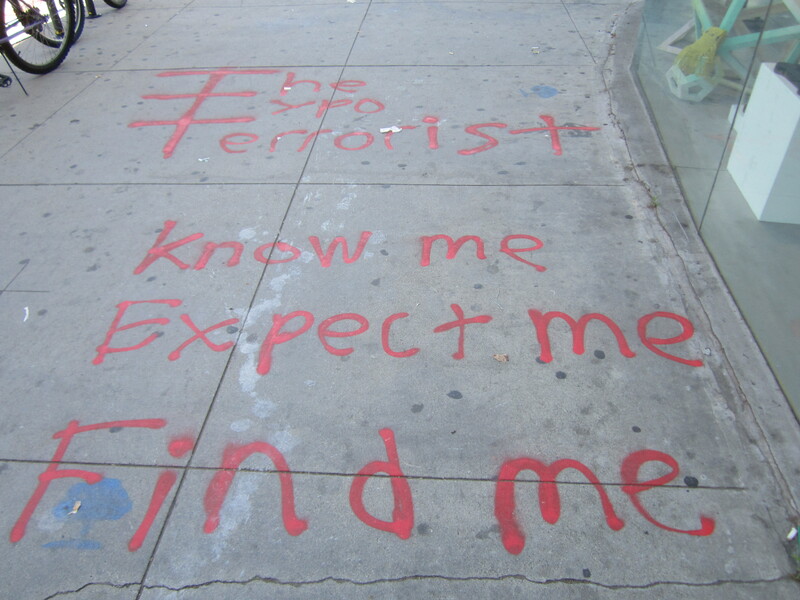 All I know about The Typo Terrorist is what’s on Tumblr and Facebook and Twitter. Regardless, I saw this while walking down Melrose Ave. yesterday. Can’t remember the cross street, but it was right around Urban Outfitters. As a random aside, why is there always a crowd at Urban Outfitters when there are so many cool, non-chain stores on the same street? I still don’t get that. 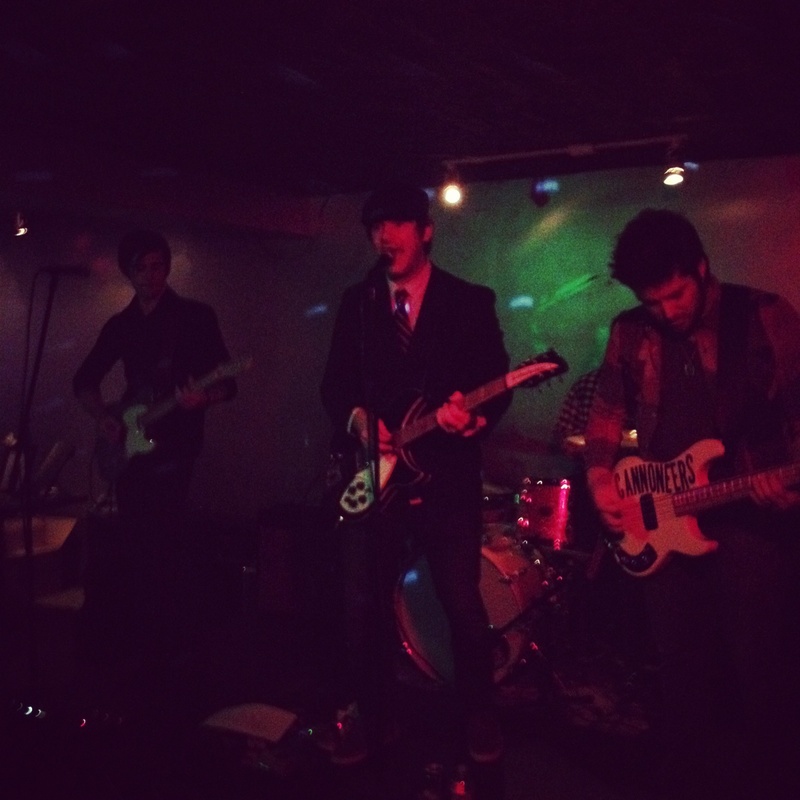 Last night, I was invited to play alongside my friend’s band, Los Angeles, and others at Los Globos. (Thanks, Michael!) It was great fun. 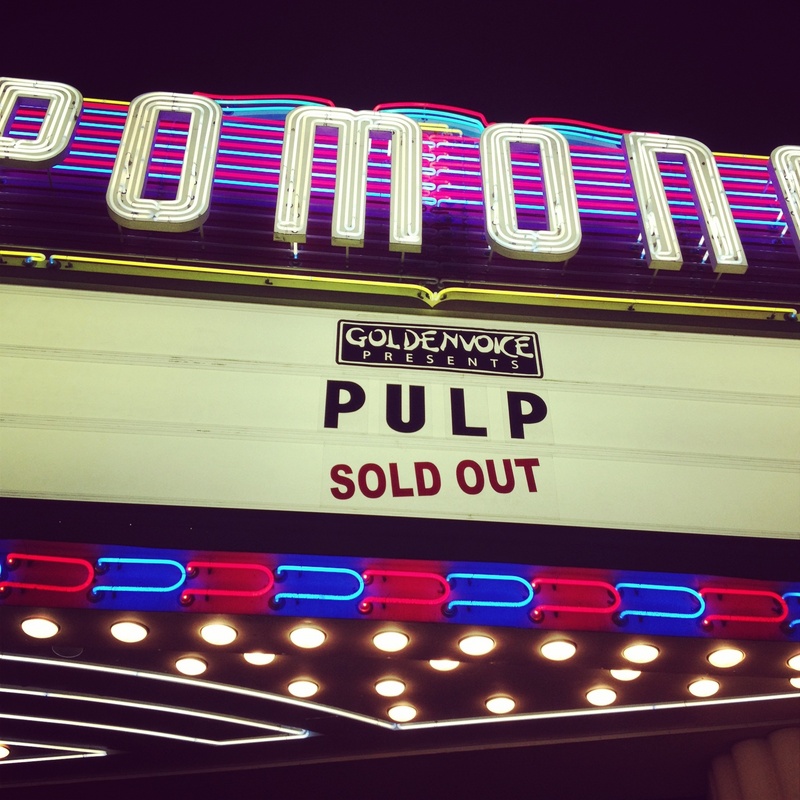 Los Angeles is one group you really need to see live, but I’ll be telling you a lot more about them later. The cool thing about playing in between the bands is that there’s no expectation to keep the dance floor packed. That said, it’s a chance to try out new tracks and throw in some old favorites that aren’t really dance-y. I played both last night. 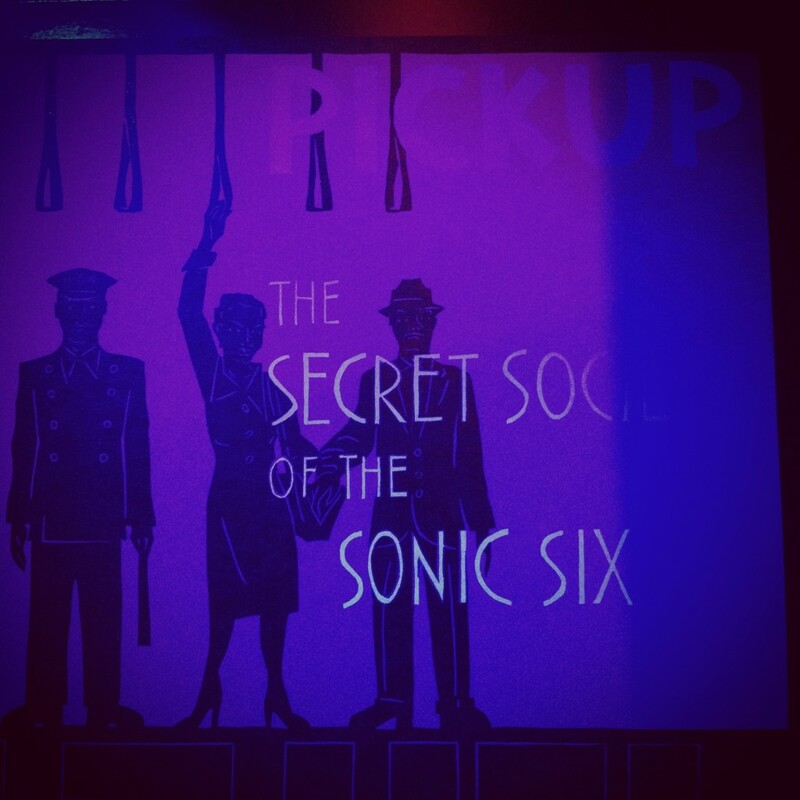 Not long ago, I went to the release party for The Secret Society of the Sonic Six’s new record, Pickup. While I was there, a copy of the album came into my possession. I love this band, and used to play their music in my sets at The Parlour way back in the day, so I was really excited to play their new work. Last night, I got to drop the title track at Los Globos. I loved the way it sounded. (Really nice job on the pressing here, it’s loud and full and filled with win.) I hope to play it again soon. Check out the set list below the jump. I stopped by the event for a little while after checking out a My Little Pony: Friendship Is Magic screening at Royal/T. I’ve had this blog since January and it’s been more or less just a space for me to write whenever I’m in between deadlines. However, I’m trying to change that and, as of next week, there will be more content, more weirdness, more stuff to keep you occupied when you can’t find anything better on the web. 1) Interviews with bands I like. 2) More photo-based posts from around Los Angeles. 3) More geeking out over TV shows and movies that came out before I was born, maybe before my parents were born. Also, more British TV shows. With this in mind, I have but one question for you. Are you interested in music, concert, TV, comic book recommendations? I’m not talking about reviews, just recommendations based on whatever is coming out during a specific week. Answer in the comment thread. My grandmother died last weekend. She was 87 and her health had been deteriorating for a while. Her death didn’t catch me off guard– not the way my dad’s did– but it’s still sad. Fortunately, I had the chance to get to know my grandmother better than most kids do. We lived in the same city and my dad always remained tight with his parents, so we saw them a lot. But, I always knew my grandmother as Grammy, a name bestowed upon her by one of my cousins. I’m the fourth of her seven grandchildren, so her identity as Grammy was already established by the time I popped into this world. 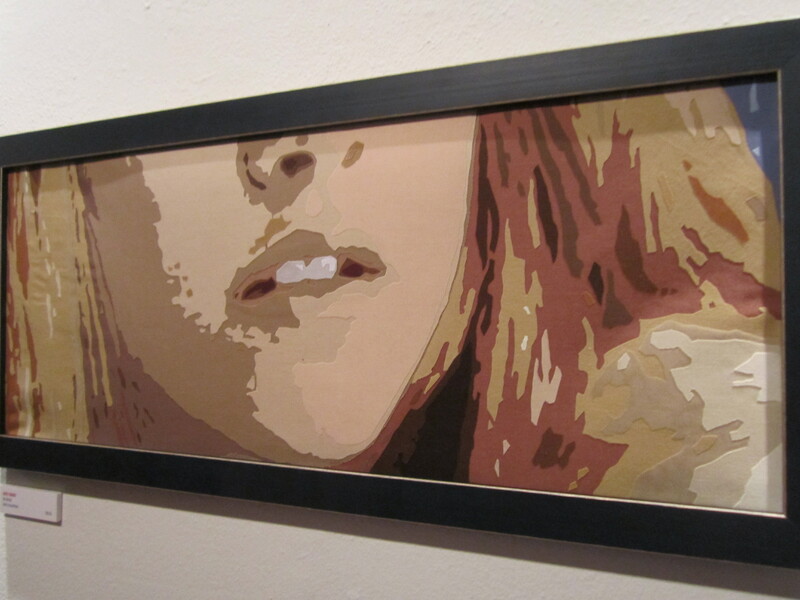 I met Kristen Stewart once. It was at a premiere for a movie I never saw, for a story I never wrote and our exchange lasted no more than two minutes. I don’t remember the exact conversation, I just remember that she seemed quite the opposite of everyone else I’ve met in my very limited experience of attending Hollywood events. Red carpet events are a peculiar phenomenon. Though the carpet often isn’t red, the events are almost interchangeable. You have a bunch of reporters on the side of the carpet, each one given a space about the size of an 8″ x 10″ glossy. You wait for hours, in this case, in sunlight so bright that no amount of sunscreen could protect yours truly from a violent burn. You’re given a cheat sheet with the names and photos of the known attendees. You will reference this sheet a lot. Of course, a few more unannounced people will arrive and you will likely have no idea who they are even though they fall into that “celebrity” category. If– and this is definitely an if– you can score an interview with one of the stars, you’re given one or two questions and your goal is to keep them talking until a publicist drags them towards the next reporter. The actors are obviously well-rehearsed for these sorts of events. The ladies walk in very expensive high-heeled shoes as though they have been strutting with books on their heads since childhood. They pose for the photographers as though they spent decades practicing for just this moment in front of a mirror. Men and women answer every question as a sound bite. If they say anything that could be construed as kind of/sort of controversial, it’s only because that’s part of a carefully cultivated rebellious image. I know this sounds cynical, but when you grow up in Los Angeles, you learn that nothing is real well before you learn how to drive. Friday night was the first time in a long time that I spun the vinyl side-by-side with live bands. Cannoneers and The Royalty stopped by Underground, where they played in the Grand Star’s upstairs lounge, and I played before and in between their sets. I always have fun playing these sorts of sets because it’s a good chance to check out live music, which I haven’t had the opportunity to do quite so often in recent years. Cannoneers features singer/guitarist Mike Monosky, who used to play in The Pacific, a now-defunct local band that I loved and saw frequently. They’ve been playing around town for about two years now and I strongly urge you to check out the band. They’re impressive live and they have a couple tracks that I’d like to spin in my rock-oriented sets. Also, they have a good looking and user-friendly website.